Rajni is very knowledgeable about schools in North London and has suggestions and examples to share from her experience as well as research she’s gathered from other parents in the area. She helped us make some decisions about how to go about approaching the school of our choice having missed the application deadline and also helped reduce the stress I was feeling at this time. I found the consultation session with Rajni very helpful and informative. Rajni gave me useful tips on how to tackle the stressful process of choosing a school for our son as well as various play techniques to engage my son in learning and preparing him for the assessments that certain schools implement. I would recommend her to anyone who is daunted by the selection process and generally wants practical first hand knowledge of how to go about it. Thank you Rajni Senewiratne for the wonderful talk this morning. You made a very worried mother feel better and supported with direction. It was informative and extremely useful. Thank you for guiding me. 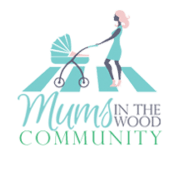 I would recommend that all mums attend and participate in the session… Will benefit a lot! ?????? We have just enjoyed a very informative consultation with Rajni. We found Rajni’s perceptive advice and balanced reviews of schools helpful; she was able to give us guidance no amount of Internet research could match! 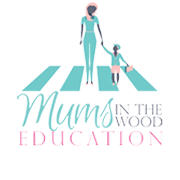 A lovely talk this morning about the school system by Rajni from Mums in the wood ! I stumbled upon Rajni’s talk at Belsize Library last week. An amazing coincidence! Rajni speaks from experience and definitely has valuable advice to offer – very honest and filled with facts. 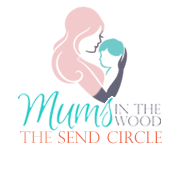 I was told about Mums in the Wood by the owner of a very prominent children’s club so Rajni is doing something right! Lovely to meet you — I look forward to reading your website and hearing more talks in the near future. Rajni helped us choose the right school for our boy. I felt she really listened to what we wanted and suggested schools we hadn’t considered. She was available to help us with questions that we thought of, only after our session and made the whole process a lot less stressful. I wish I had met her earlier as I would have saved a lot of time and money by registering only to schools that were a good fit to us! Hi Rajani, I would like to take this opportunity to thank you for all the help you have given my son and I in preparing for the 4+ assessment. You have not only helped my son for the preparation, but me too as a parent. You were very particular and detailed on the feedback you gave me and I appreciate all the insights you have shared. We had a consultation with Rajni on the offering of schools in the area for our 3 year old daughter. She helped us navigate the options available in a friendly, honest and detailed way. This helped us a lot since my husband and I were completely clueless about the system in the UK and had made bad choices for our daughter in the past. Rajni also gave us a lot of practical advice for our daughter’s extra school activities, which was brilliant. I am very glad we got in touch with her and I know she will be there for us should we need more advice in the future. Thanks again Rajni! Rajni you have been amazing! Moving to London was easy but finding the right school for our daughter was hard and overwhelming. Luckily I came across Rajni who helped put my mind at ease and gave us the very much needed guidance to help us understand the process and for the wise words of advice. Thank you thank you thank you! It was a real please to meet Rajni. She is very knowledgeable about North London Schools and their assessment processess. She helped my son through a mock assessment which was very enlightening and useful. I only wished we had found her early. Her advice would have been invaluable when my husband and I were making decisions about schools. Thank you so much Rajni you are a true professional! Thank you so much Rajni for your advice and support whilst we were going through the North West London 4+ school assessments. I found our chats incredibly useful and I really appreciated your honest advice! As American ex-pats, understanding the school system in England has been a bit daunting. Meeting with Rajni recently to discuss our options for our 7 month old daughter was incredibly helpful; she demystified the system and language, provided valuable insight about the process for registering, testing, and school selection, in addition to helpful tips on how to help our daughter learn through play from this early stage (specific activities, toys, books, etc.). Our discussion was very clearly bespoke to our situation; no one-size-fits overview or handouts to review; I only wish I would have arranged our consultation earlier – it’s never too early we learned! I will certainly be recommending her to friends (have already!) and look forward to our future discussions. We have had an excellent session with Rajni recently! We reached out to her in order to prepare for parent interviews and get her view on the suitability (for our family) of the schools we had registered with. Rajni is a true treasure trove of information about schools and child-related activities/services in the area. We found her advice very thoughtful and tailored to our situation. Rajni was full of good ideas on how to prepare our son for assessments in a playful / non-tutored way and get around his shyness. Most of all Rajni is a compassionate and nice person and it’s a delight to talk to her! I cannot recommend a session with Rajni enough. At a time when I have limited time to research the oh-so -important question of schooling for my newborn, she provided an immense breadth of research in a way that was easily digestible and highly personal. I left our time together with detailed information about all the potential schools we should be looking at and a sharply focused idea of how to begin the application processes. In addition to her thorough knowledge and professionalism, she is a warm and personable presence, whom I truly felt cared about our needs and perspectives. Rajni recently came to do an educational consultation about our son, to discuss our options for the 7+ entrance exam. Although we had some insight already into schools locally, we were able to really get our heads around the process, approach and our options, plus understand more clearly exactly what we would need to do to best support our son in preparation. We gained an incredibly in-depth insight in a very short amount of time, and I felt Rajni is a real expert in this subject with concrete examples and evidence to back up her views. Thank you Rajni, we feel so much better equipped to make the right decisions and be prepared for this very critical time. Rajni was incredibly informative, understanding and supportive during the 90 minute consultation service we booked with her. She not only helped us decide how best to proceed with our twins’ choice of schools but gave us a good list of the type of schools most suited to our family’s specific needs. My only regret is that we didn’t meet her sooner than we had. Although I thought I had done a lot of research myself, I was still completely bewildered and confused by the overwhelming choice of schools out there and the entire process of 3/4/5/7/11/13+ intakes. Whatever I thought I knew wasn’t a patch on the insights Rajni shared with my husband and me. We now feel much more confident about what our next steps should be. The best thing about Rajni is that she is also available via email for questions and help free of charge after the session. Her service doesn’t just end after the consultation. This has already been useful because she provides a lot of information which takes time to digest and invariably results in questions you hadn’t thought to ask at the time. I’d without a doubt recommend meeting with Rajni to any parent trying to decide what steps to take regarding their child’s education because she can give you information you probably will never come across on your own. I can’t thank her enough for the help she gave us. Our meeting with Rajni has been really useful. As first time parents and not used to the English school system yet, we were struggling a bit to understand what each school had to offer in order to make our list. Her experience and her ability to listen has made this time extremely valuable on this path! She definitely knows the system very well and her personal experience of it really helped us better understand. We highly recommend Rajni to help you as well and we look forward to meeting with her again further down the line. Thank you Rajni!